The Historic Hernando Preservation Society took second place for the best commercial float thanks to Jamie and Robert Aubery of J. Rayne Photography who built a Time Machine! Members of the HHPS dressed up to represent Christmas throughout the Ages. A million thanks to the Auberys for their hard work! 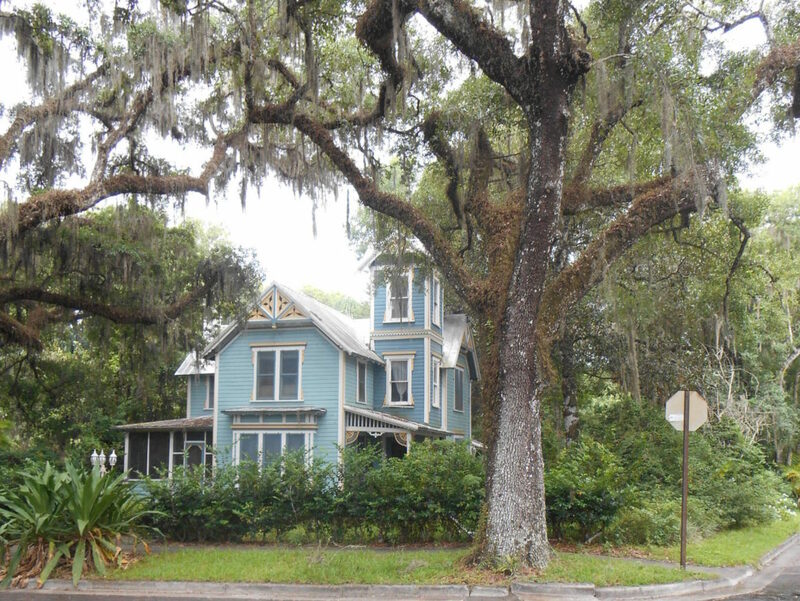 Historic Hernando Preservation Society ventured to Tarpon Springs Saturday, September 24th. The group was there to take in the museums, shops and fabulous food Tarpon Springs had to offer. The trip, in itself, was a nod to the fifty Greek sponge divers who left Tarpon Springs in 1910 for a new life in Centralia. Centralia beckoned people from the silver and gold booms to a new resource, red Tidewater cypress. The seemingly inexhaustible supply drew workers from Scotland, Ireland, Germany, Italy, France, Finland, Canada, and yes, Tarpon Springs. Centralia, born in 1910, was named after a lumbering and agricultural town by the same name in Wisconsin. It’s many workers, 1,500 in number, required services which Centralia gladly provided. Centralia boasted a one room school house where about two dozen pupils attended, it doubled as a church for Protestants and Catholics. There was a boarding house, the Centralia Hotel and a restaurant called the Hungry None, which served meals day and night. A drug store and a movie house called the Flicker Palace flanked its streets. Centralia was best known for George Gambles Commissary. 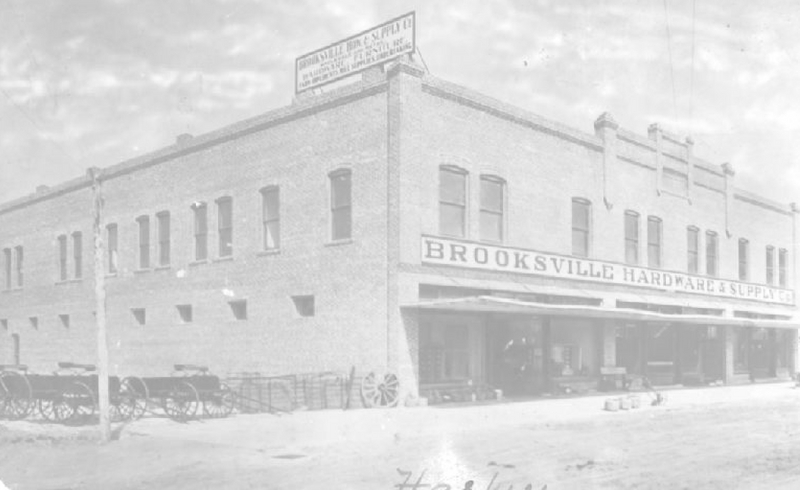 The huge store supplied dry goods and hardware needs to the town, it stayed open from 6 a.m. to 10 p.m. daily. It carried more stock than any retail store in Tampa or Jacksonville. 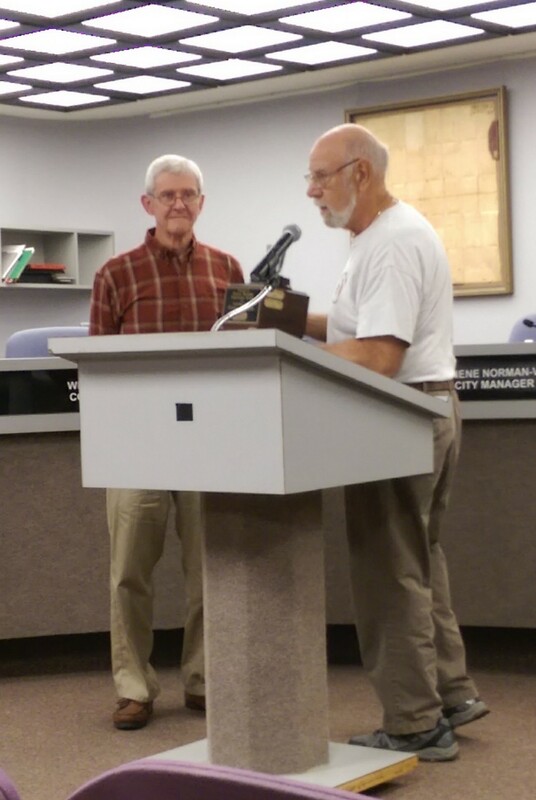 Edgar Roberts who owned the Central Cypress Lumber Company, had the most efficiently run saw mill in the area. Double band saws cut rough timber into finished boards. Power for winching and sawing was provided by large steam boilers. Logs were hauled in by train, dumped into a pond, and floated to the mill. Yet, due to the lack of land management, the lumber source ran out in six short years. In 1917 Centralia had 160 acres of land stacked with lumber piles 15 feet high. The mill could turn out 100,000 board feet a day, and on many days it did, but no more. Centralia’s final whistle blew on the last day of operation when Robert’s daughter “Queen” pulled it for the last time in 1917. The sound meant to call loggers to work now signaled Centralia’s end. 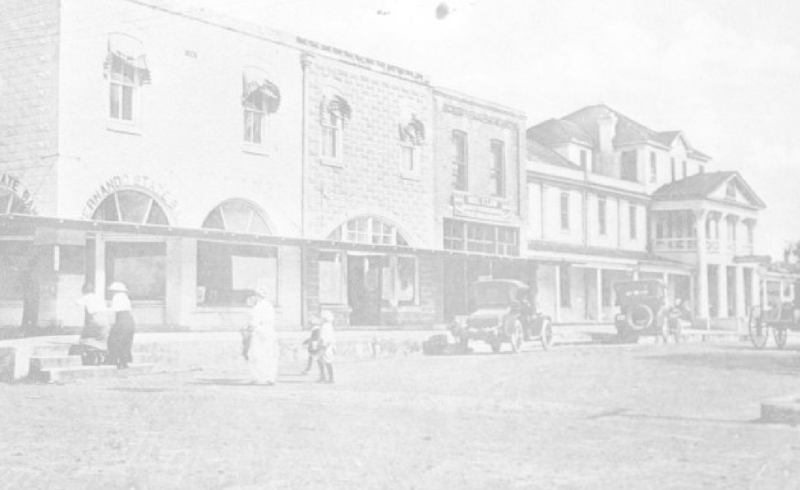 Centralia officially closed on December 11, 1922 with the closing of the Post Office. Today, all that remains of this once vibrant logging town are the float pond and the ramp up which the great logs were winched, the concrete slab where the water tower stood, and the brick foundations of the sawmill and depot. Historic Hernando Preservation Society is currently working on a project to place the nearly forgotten history of Centralia on a Historic Marker. Centralia was located 4-1/2 miles north of Weeki Wachee Springs and east of US 19 Highway, just north of Tooke Lake. The Historic Marker project should be completed in 2017. Donations for the marker can be made on the Centralia Marker Page. 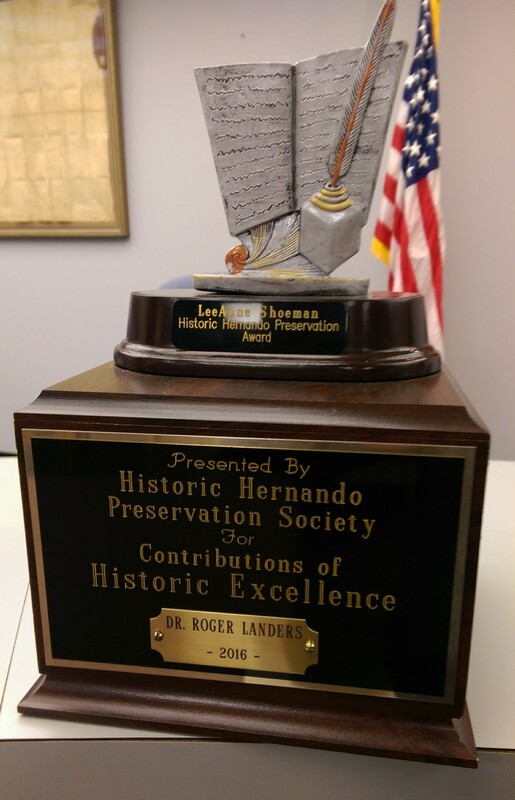 You can learn more about Historic Hernando Preservation Society by visiting their web page at historichernandopreservationsociety.org. 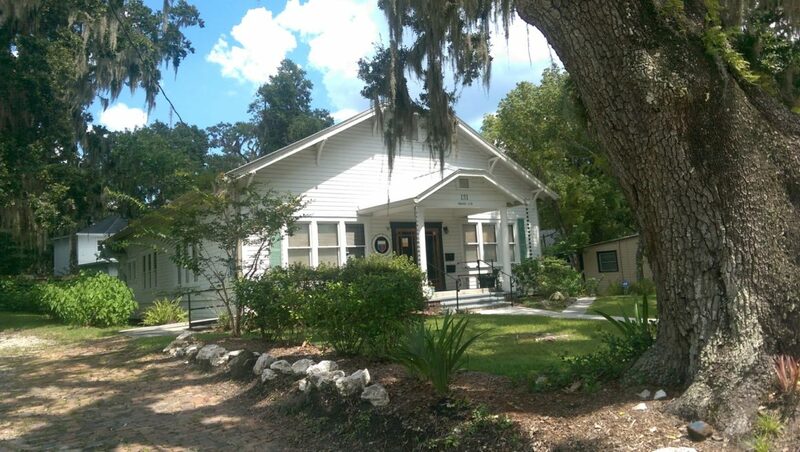 The Hernando Historical Museum Association invited the Historic Hernando Preservation Society for a croquet match on the lawn of the May Stringer House, Sunday, August 28th. The event was to encourage growing friendships as well as provide a pastime of a by-gone era. It reflected days of summer afternoons sipping cold drinks in the shade, while rocking on the porch. The Stringer House was the perfect backdrop for this friendly game. The lawn stretched beyond the welcoming porches inviting participants to “come play.” Some wore period dress, adding to the enchantment of the evening. A light supper was spread across white linen cloths for the enjoyment of all. After the match, deserts were served as the sun began to set. Historic Hernando Preservation Society member, Debbie Charlow may have won the match, but everyone considered themselves a winner at this years event. Museum President Mary Sheldon was the event coordinator. She and her board provided everyone with hospitality and charm. They food they served was excellent, and the fellowship was enjoyed by all. Preservation Society President Don Moses and Museum President Mary Sheldon hope this event will be the beginning of many more. 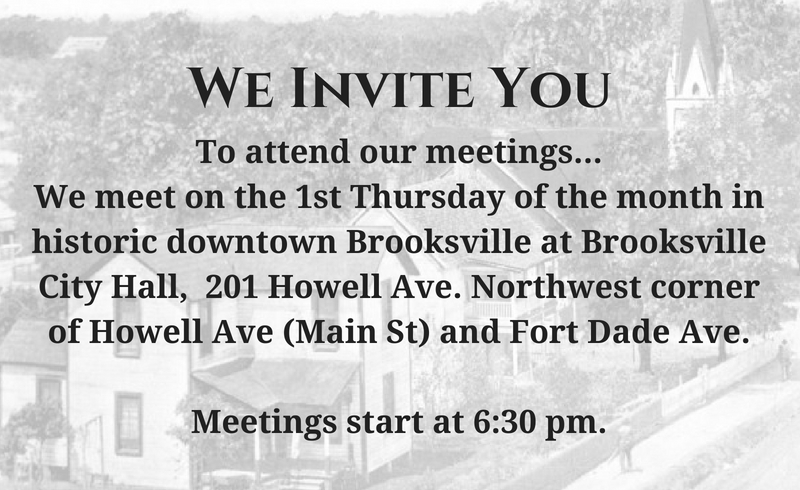 Anyone in the community is welcome to attend the Historic Hernando Preservation Society meetings at CIty Hall the first Thursday of each month beginning at 6:30 p.m. 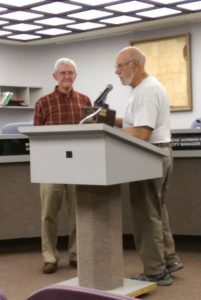 The Hernando Historical Museum Association is also extending invitations to the community to be a part of their organization as well. You can get more information about them by visiting http://www.hernandohistoricalmuseumassoc.com .